To put it simply, the number one way to keep your shoes looking good in the winter is to protect them rather than waiting until after they have been damaged to try to salvage them. Ask my go-to cobbler (or any shoe professional, for that matter), who will recommend taking preventative measures before even wearing shoes once—in any season. Add the rain, snow, and salty roads that come along with the winter months, and, quite frankly, anyone would be foolish not to! So how exactly do you protect your shoes? You waterproof them. 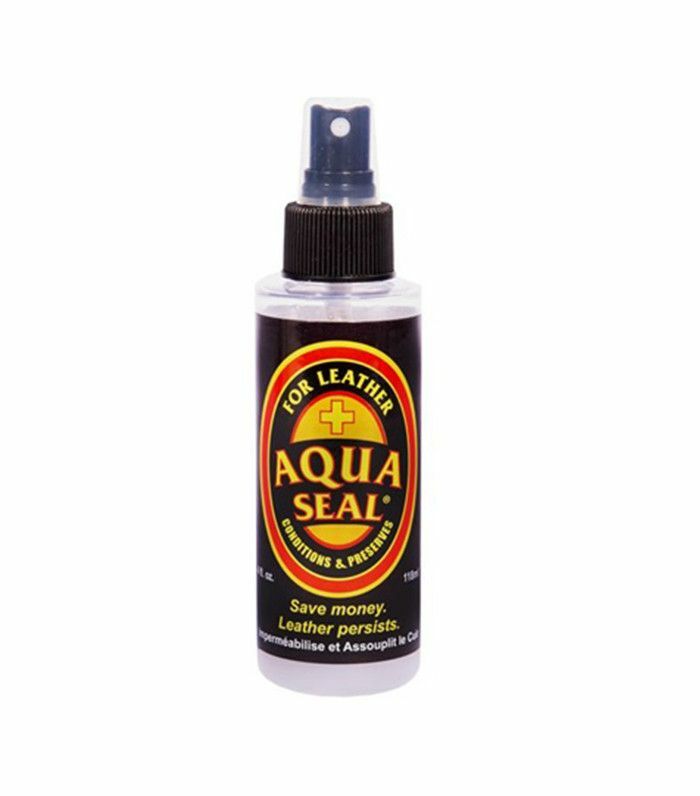 Whether it’s leather boots, suede pumps, or canvas sneakers, this essentially seals your shoes from the outside so that the material can’t be penetrated, and thus ruined, by the elements (not just water). Any shoe repair shop can do it for you, or, if you’re partial to a DIY, you can do it at home. Option number two will, of course, save you money, and if it sounds complicated: it’s not. We’ve even trolled the internet, including the experts at Good Housekeeping and Amazon’s arsenal of reviews, to find you the best options for each kind of material, so all you have to do is add to cart, wait for it to arrive, and spray! Now you know why we published this post almost a month before the first day of winter. Scroll through to shop shoe protectors for leather, suede, and canvas! According to the editors at Good Housekeeping, this sealant worked so well that it made their experiment difficult because they couldn’t get their test mixes to stay on the shoes after spraying. Approved by Good Housekeeping and 216 Amazon customers, this waterproofer works on both real and faux suede and is easy to apply. Scotchgard is actually useful for all kinds of pieces, from chairs to handbags, and helps prevent stains from setting in so that items can easily be cleaned. According to some of its 396 customer reviews, this works on everything from leather boots to suede couches to canvas backpacks. Will you be preventatively protecting your shoes this winter? Tell us in the comments!